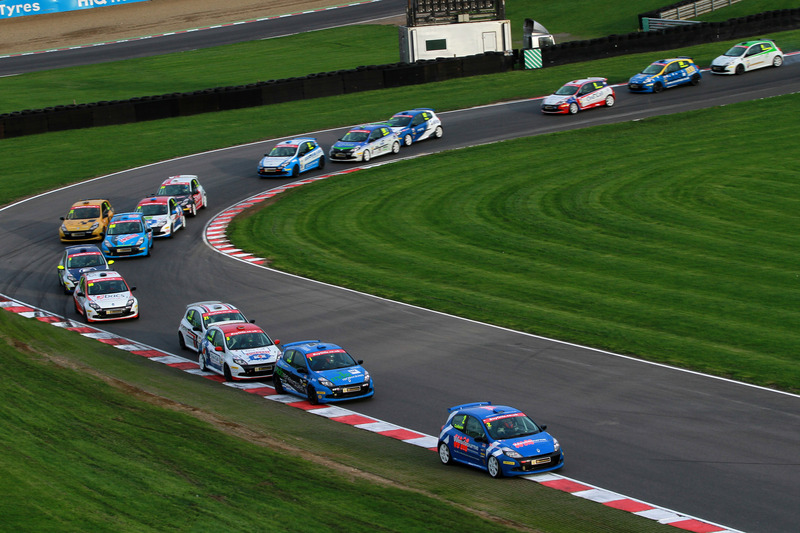 The Michelin Clio Cup Race Series is a championship for the third generation Clio Cup car as raced in the BTCC support package from 2007-2013. Cars must have taken part in the championship or Series during the 2010/2011/2012/2013 seasons and have Renault Sport seals in place. Any pre 2010 cars or cars sourced from overseas must be presented to the Championship Organisers for validation and registration of engine seal numbers. All cars will be required to be presented before the start of the season. The licence requirement is National B minimum and higher grade licences are allowed as drivers are expected to have had some previous car racing experience before taking part in the Race Series. The team will be running both owned and owner drivers in the 2017 series. Following on from four highly successful consecutive series in the series with Westbourne prepared cars you can be sure your choosing a team with the knowledge and desire to win. All cars are prepared to our own exacting standards as reliability is a key factor to winning a championship. Our budgets are amongst the most competitive in the paddock but without compromise on quality or expertise. If you want to win in 2017 we want to hear from you. Circuits will host testing within two days of the race meeting date and list of dates and booking details will be circulated by the Championship Organiser once known. Saturday will feature a timed 20-minute qualifying session with the fastest time determining the grid for the first race and the second time setting the grid for the second race. Normally there will be a 25 minute race on Saturday afternoon. On Sunday there will be a second, 25-minute race. The Michelin Clio Cup Race Series is set up to accommodate drivers who enter the championship as a whole and race at all six events. Registration will open at the Autosport International Show on Thursday, 9th January and close on Friday, 28th February or earlier should the maximum of 32 registrations be reached. The registration fee during this time is discounted to £1,416 including VAT. From the 1stMarch onwards the fee rises to £1,800 including VAT. Free pre-season test day in mid March on one of the championship calendar circuits with exclusive Clio Cup sessions VAT, to enter the championship races. Race entry is completed through the BARC HQ at Thruxton Circuit a few weeks before each round and typically costs £450 per event. The tyre allocation is 3 new and 3 previously marked tyres. At the first meeting a competitor can nominate part worn ‘used’ tyres. Fuel – circuit pump fuel will be nominated at the first five events but control fuel will be mandatory at the final round at Croft as no circuit fuel is available. All cars will be required to be presented before the start of the season for validation by the Championship Organiser.